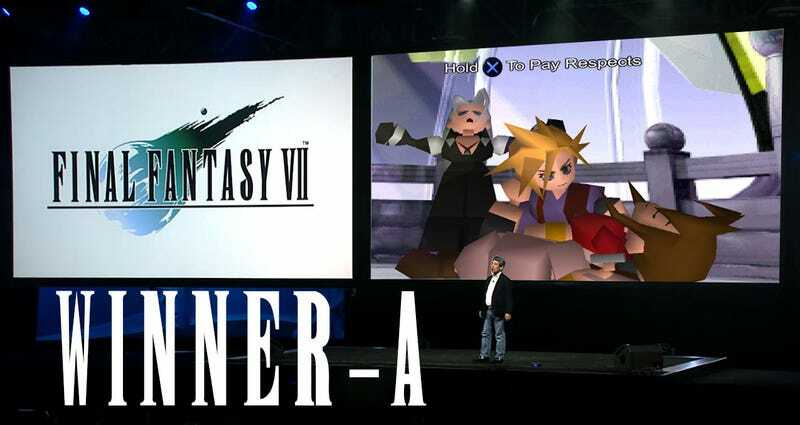 Kotaku 'Shop Contest: The Worst Final Fantasy VII Announcement: Winners! 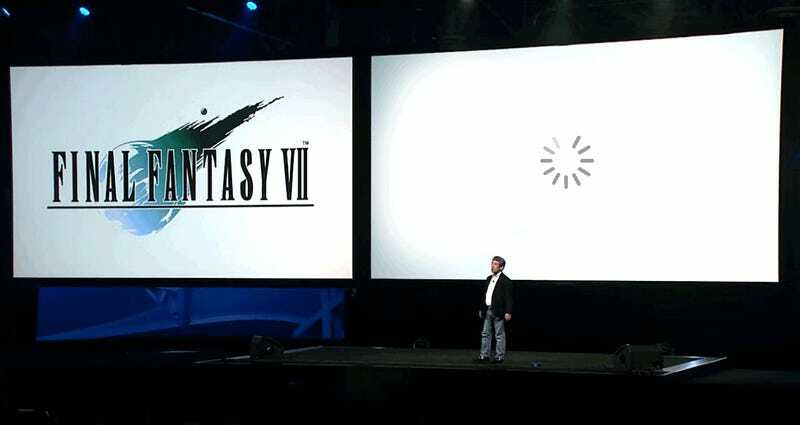 During last week's PlayStation Experience event, Square Enix announced a Final Fantasy VII port everyone had hoped was the long-awaited Final Fantasy VII HD remaster. 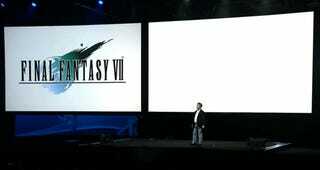 I asked our creative community to imagine a worse Final Fantasy announcement. Such horrors they have wrought in my name. uscg_pa — comment loading, please wait. mulled0220 — extra points for making up a fictional tablet device. rallyRays — I said worst announcement, not hippest. MisterFeeble — because Square Enix MMO announcements are scary. unsaved_progress — having trouble seeing how this is bad. AsthmaticHamster — you leave Mystic Quest alone, you monster! Cuddly-Cereal — I'd still buy it. BoboTheTeddy — seriously you guys, stop imagining products I would buy in a heartbeat. Michael L — it's two disappointing things in one! 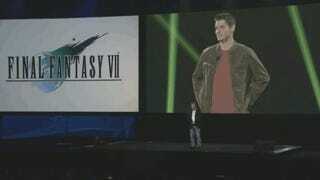 ThtDamnNerd — well it would sure be disappointing to Sony fans. UnderhandWriter — because we're making things worse. MrDeadScott — actively trying to make us cry. bbilbo1 — for comparing spending real money on Aerith to that one Dragon Age character that could run off wearing your DLC armor. Anshin — probably the best advice for Final Fantasy VII fans at this point. Pottman — now with more virtual Steve Buscemi. MagiCow — again, the contest says "Worst". Michael Crider — like this. TestZero — Don't even joke about this. Ganonthegreat1 — there's just something about this one. RedFox — doesn't know the difference between worst and best. McFinnipoop — this one feels like a trap for some reason. ConallofUlster —Definitely wins the best middle finger award. Reynoldo Rosa Urbistondo — this is definitely much, much worse. Marusame — Yay, another tech demo! PuppetPal — but I kinda want this. osimov — for making an incredibly long post that much longer. JustWaitingForAMate —but at least it would be confirmed! Tygore — as the owner of a working 3DO, this pleases me. Arch Duke Maxyenko — Kinja sees what you did there. Sage —the pillow is an excellent touch. Velduanga — I would kill for a new Ehrgeiz, actually. ktpx349 — Love SOLDIER's new outfits. skyc2re — this pretty much had to be here. Barrel_Trollz — Yeah well at least my pants are of uniform length. GiantBoyDetective — though I'd probably just copy it to DVD. Garlador — everything sad all at once, all for you. OmegaJimes — but we'd all buy that DLC anyway. The Masters Of Unlocking — for the win!